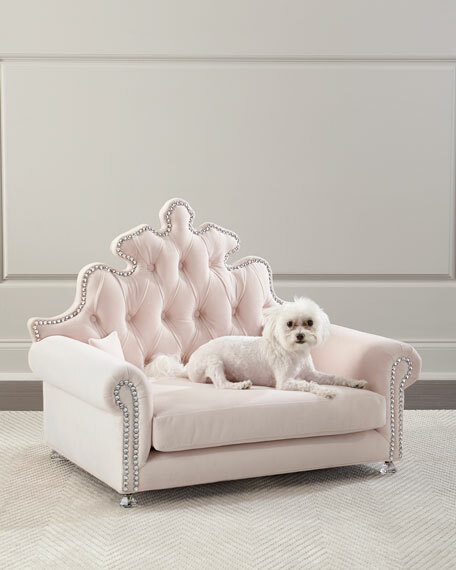 Handcrafted tufted dog bed with crystal tacks. Includes two matching 5"Sq. pillows. 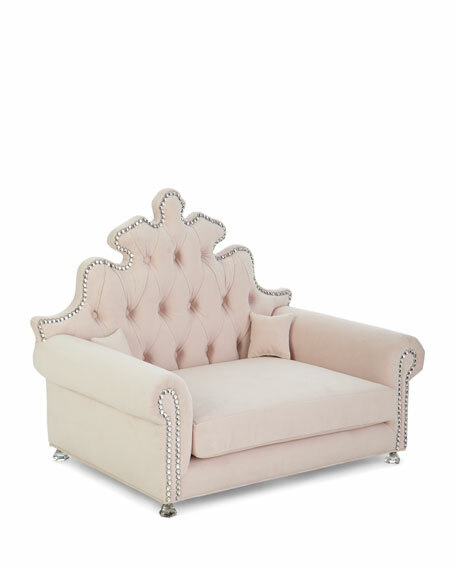 Overall, 33"W x 23"D x 26.5"T; arm height, 13"T.
Black Recamier Leather Sofa 90.25"
Divine Tufted Left Chaise Sectional 157"
Handcrafted bed. Hardwood frame. 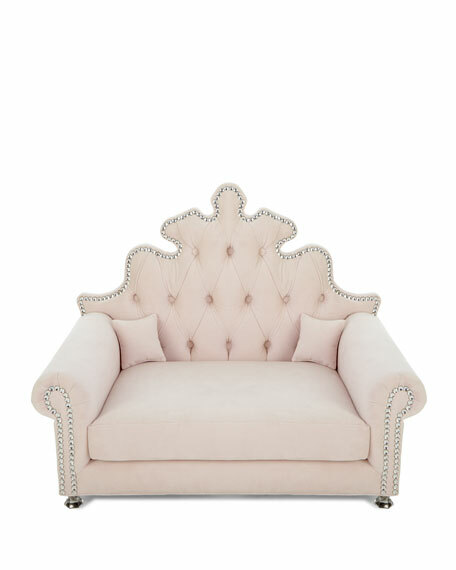 Acrylic/polyester/cotton/nylon channel-tufted upholstery. Nailhead trim between channels and around frame. Mortise-and-tenon frame construction. Three-slat support system with adjustable center supports. 87.5"W x 94.25"L x 68"T. Assembly required. Made in the USA of imported materials. Boxed weight, approximately 233 lbs. Handcrafted bed, fully upholstered. Hardwood frame, birch solids. Fabric: polyester. Adjustable height bedding support system. Stapled, nailed, and glued construction. Handcrafted bed, fully upholstered. Hardwood frame, birch solids. Fabric: polyester. Adjustable height bedding support system. Stapled, nailed, and glued construction. 66.3"W x 88"D x 66.5"T. Imported. Boxed weight, approximately 219 lbs. Handcrafted bed with upholstered headboard. Hardwood frame, birch solids and sycamore. Fabric: polyester. Adjustable height bedding support system. Stapled, nailed, and glued construction. 82"W x 89.5"D x 60"T. Imported. Boxed weight, approximately 260 lbs.